Another Lornell “capture”, these two cousins once held square dances at their homes in days of yore. Kip and I initially kept up with them and I was eventually able to record two long sessions in the late 70s. Due to folks like us bothering them, they got their playing and repertoire chops together again to the point that the home dances were “born again”. Alan Lomax filmed at their place a time or two, probably as part of one of his “American Patchwork” series of films. 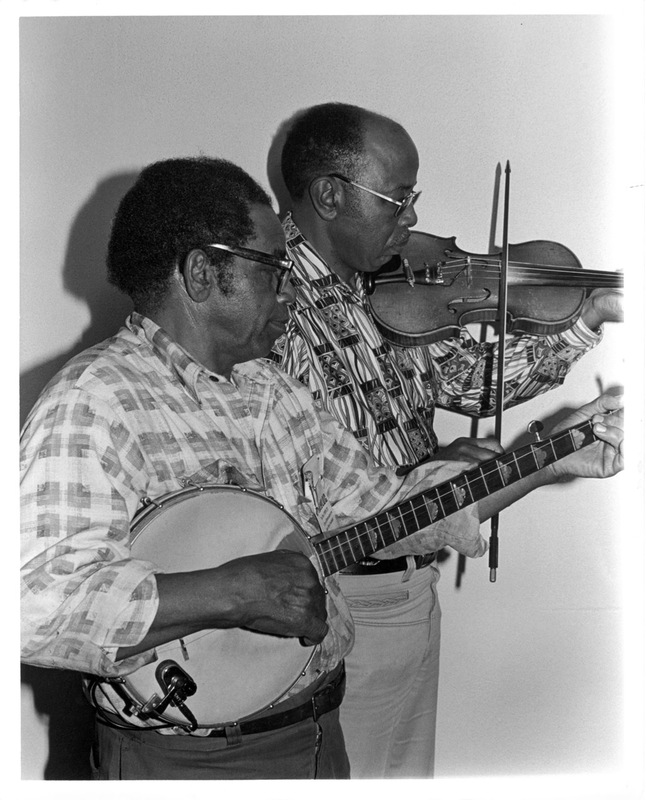 They also later played at festivals – while fiddler Joe is still among the living in 2011 (he received a National Endowment for the Arts Heritage Award and also played at The Kennedy Center, both in 2007), banjoist Odell was accidentally hit by a car while walking by the side of the road to play at Doc Watson’s “Merlefest” one year. Their brother/cousin, Nate, was also a banjoist who lived in Philadelphia – sadly I did not get to record him when I lived there, although that was my intent… tapes do exist, though, in Philly and held by the folk festival people.